Accomplished and energetic Occupational Therapist with a solid history of achievement in providing current occupational therapy services to a variety of patients. Motivated leader with strong organizational and prioritization abilities. Assess and implement treatment plans to fit patients' needs and capabilities. Provide occupational therapy services including evaluations, re-assessments, and treatment plans to inpatients, outpatients, and home health patients. 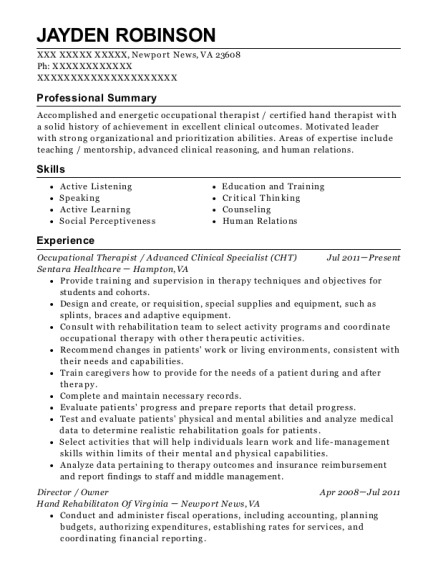 Two years was employed as the rehab manager and was responsible for the entire OT, PT, and ST departments including staffing, budgeting, and general supervision. Occupational Therapist Jan 1994－Jan 1995 Ivinson Memorial Hospital － Laramie, WY Provided occupational therapy services to acute care patients. 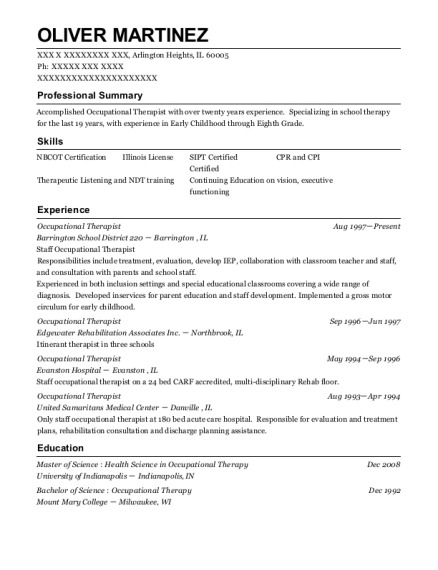 This is a resume for a Occupational Therapist in Casper, Wyoming with experience working for such companies as Wyoming Medical Center and University of North Dakota Casper College Site. 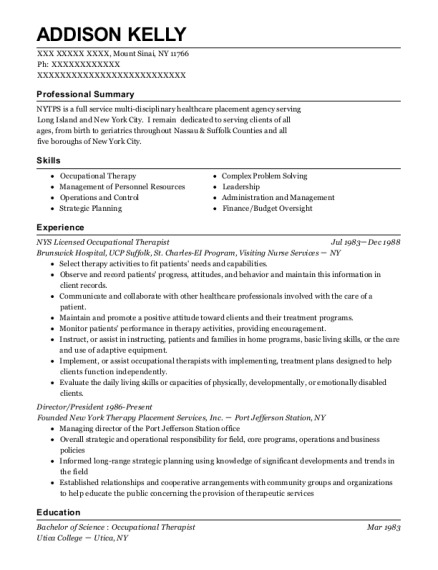 The grade for this resume is 0 and is one of hundreds of Occupational Therapist resumes available on our site for free. 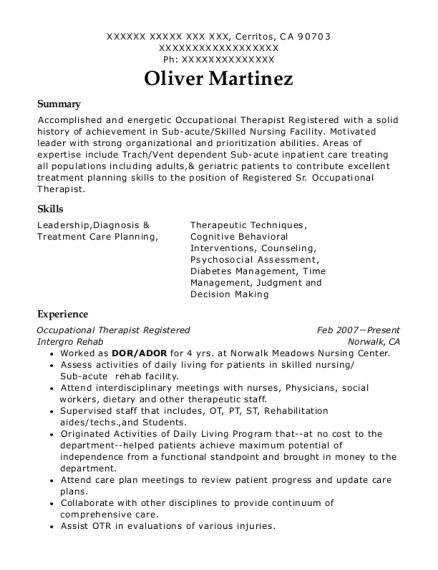 Use these resumes as templates to get help creating the best Occupational Therapist resume.